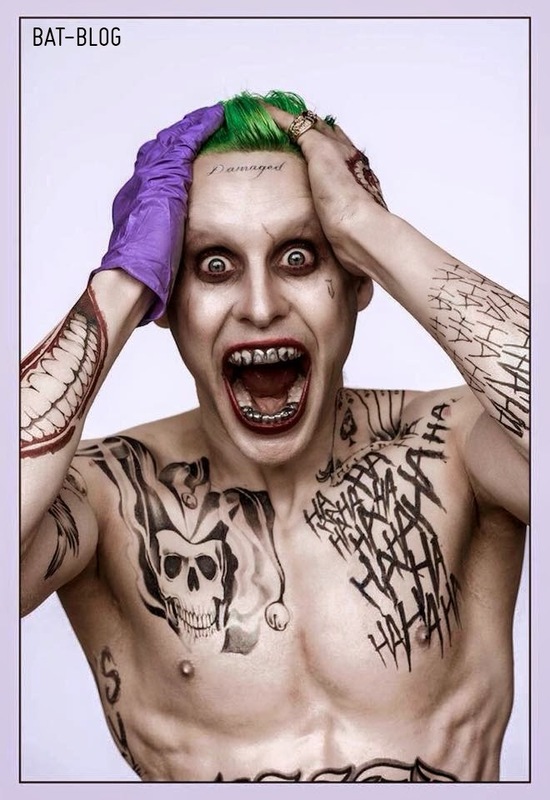 Here's a quick post to share a brand-new photo showing what the Actor Jared Leto will look like as THE JOKER in the new SUICIDE SQUAD movie. I think he looks awesome and is a fresh modern-day version of the character. Please, please give Jared Leto a chance to prove he can do a good or bad job of portraying the character and hold your opinion until AFTER you see the movie. Who knows? He might nail it just like Heath Ledger did in the Dark Knight Trilogy and like Jack Nicholson did before him. Personally, I love all the different variety.